​ Wellness testing allows us to determine your pet’s internal organ function sometimes before your pet shows signs of being sick. •Wellness testing allows us to catch diseases before they cause severe damage to your pet’s health. Early detection of disease helps us prevent and treat diseases successfully; therefore, helping your pet live a longer, better quality of life. •Wellness testing also gives a baseline of your pet’s internal organ function. 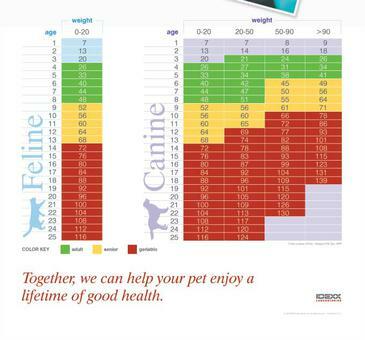 In the future, we will compare results and see if there are any gradual changes that may affect the quality of your pet’s life. ​Click here to find out what your pets' blood work means. February- Dental Awareness Month. Get 15% off Dental Cleanings in February. Space is limited. Call today! July- ~ 20% off Vaccines. 1 year or 3 Year. Canine and Feline! August- Vaccine Special. Discounted 1 year annual vaccine package. Dogs and cats! September- 20% off Wellness Blood work and Vaccines for both dogs and cats. November- Toys for Tots Donations start! 10% off next exam with toy donation. December- Toys for Tots donation month (Ends December 19th). Get 10% off next exam with toy donation.